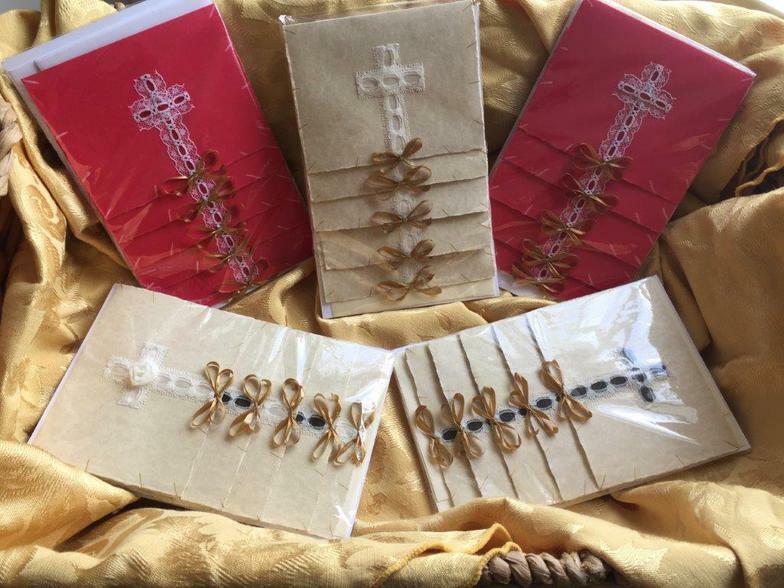 At God's Girl Greetings we consider the handcrafted card as the wrapping paper and the message as the Gift. We are here to serve you and your ministries with customized precision. The size of the card is based on the length of the message. Order individually or boxed. Premium 65lb card stock and intricate trim. We have a varied assortment of styles to choose from. Or customize with colored paper. Contact us for details. "We are the only ones crying"
"Just Walking In Her Shoes"
"Your Life is at Stake"
"I know why God used you"
"If you confess that Jesus is Lord and believe God raised him from death, you will be saved." "The Lord is my strength and shield, I trust him with all my heart." "Behold, I stand at the door and knock. If anyone hears my voice and opens the door, I come to him and dine with him and he with me." "But those who wait on the Lord shall renew their strength; they shall mount up with wings like eagles; they shall run and not be weary; they shall walk and not faint." "Oh taste and see that the Lord is good..."
"Let us not grow weary in well doing: for in due season we will reap, if we faint not." "Love others as Christ loved you..."
"For I know the plans for you says the Lord. They are plans for good and not for disaster, to give you a future and a hope. In those days when you pray, I will listen."